Royal Basilica with our special half day tour. the Line’ entrance ticket to Sagrada Familia. 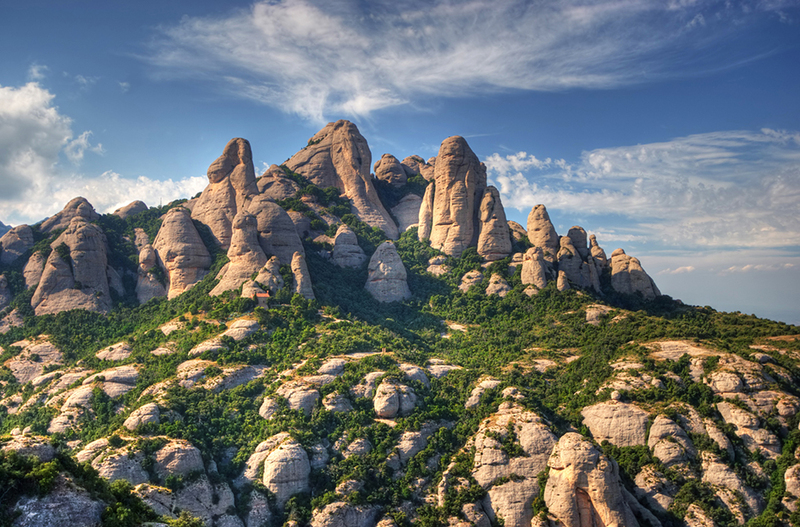 natural park & mountains with spectacular views over the plains of Catalonia. we can avoid the crowds and stay well clear of the other larger tour operators. building. From here, the journey to Montserrat takes us about an hour or so. small group, but like to have somebody there to explain things. A visit to the sanctuary where the ‘Moreneta’ is housed is a must. have climbed this spectacular mountain. many of which are peppered with small chapels and hermitages. at the unspoiled beauty of this protected natural park. railways, or the cable car, offering yet more views of the area. Depending on whether you have taken the morning or afternoon option you will arrive back in Barcelona at around 2pm or 7pm.